1. Gypsum Board* — 5/8 in. thick, three layers. Nom 3/32 in. thick gypsum veneer plaster may be applied to the entire surface of Classified veneer baseboard. Wallboard installed without horizontal joints. UNITED STATES GYPSUM CO — Type C, IP-X1, IP-X2, IPC-AR, SCX, SHX, ULX, WRX, USGX, ULIX. USG MEXICO S A DE C V — Type C, IP-X1, IP-X2, IPC-AR, SCX, SHX, ULX, USGX or WRX. 1A. Gypsum Board* — (As an alternate to Item 1) — Nominal 5/8 in. thick panels. One of the three layers of Gypsum Board (Item 1) may be substituted with one layer of gypsum panel and secured as described in Item 1. 1B. Wall and Partition Facings and Accessories* — (As an alternate to Items 1 and 1A) — Composite Gypsum Panel — Nominal 5/8 in. thick panels. One of the three layers of Gypsum Board (Item 1) may be substituted with one layer of composite gypsum panel and secured as described in Item 1. 2. Screw, Gypsum Board — Self-drilling; spaced 12 in. OC. 3. Corner Treatment — Steel corner bead and joint compound or veneer plaster. 4. Steel Angle — Galv, 1-1/4 by 1-1/4 in., 0.021 in. thick, 10 ft long. 5. 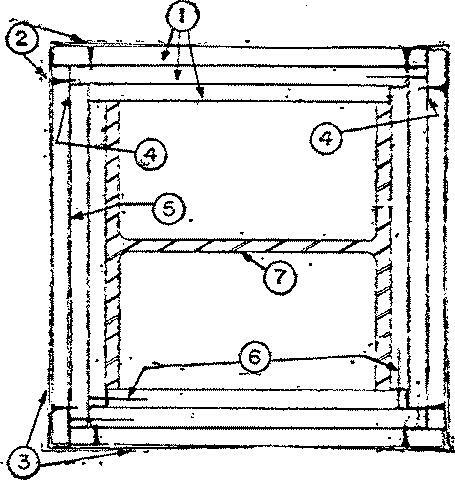 Metal Strapping — Sheet steel; wrapped around column, located a midheight and 18 in. from each end. 6. Nails — Ring shank, 1-3/8 in. long; randomly spaced as required for support during construction.